Description: Happy Frostval! He may not be the happiest bug at this time of year, but he sure is cute! 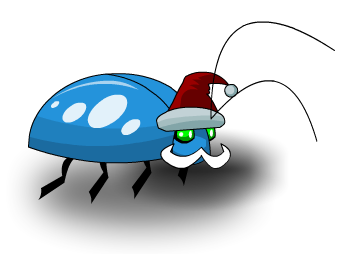 Note: Previously called "Bah-hum Bug". Note: Also see Frost Beetle. Thanks to Awesomewarriors1, cornfield10, Lily, mturf, Pmk138, Tendou no Mazo and .*. .*. . *..